Interop Las Vegas is the leading independent technology conference and expo series designed to inspire and inform the world’s IT community. 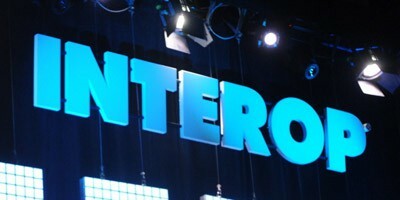 Interop is the largest IT Conference & Expo in Las Vegas, and takes place in the spring each year. This year will include new programs, networking opportunities, and classes that will help you set your organization’s IT action plan. The conference portion of Interop provides World-class IT education and training on the latest infrastructure and networking innovations. Interop conference sessions help you find a solution to your current IT headaches and plan for future development. Three days of sessions (Wednesday-Friday) highlight the latest advancements in networking, virtualization, cloud, mobility, data centers, and more. Two days of workshops precede the conference (Monday-Tuesday). The Expo Pass for Interop Las Vegas grants you access to 300+ Exhibitors, industry-leading keynotes, vendor tech sessions, and networking events around Interop. As you visit with the exhibitors, you’ll be given hands-on-tours of the current leading innovations and future products. On-site, you can make sure you’re fully informed about the products in security, cloud, and infrastructure markets before making any purchase decisions. Metro Exhibits has been a proud supplier of a wide range of services for exhibitors and companies who participate in Interop Las Vegas. Metro Exhibits provides white-glove, concierge level trade show services for businesses and organizations who are involved with Interop Las Vegas and other trade shows, expos, and conventions like Interop Las Vegas. If you are an event organizer or business, Metro Exhibits provides a wide range of services that will meet any need including trade show display design, rental, sales, logistics, installation, and printing. We have 68,700 sq.ft. of manufacturing and storage capabilities throughout the country including in New York City, New York, Orlando, Florida, and Las Vegas, Nevada. We make sure that you never have to worry about a single aspect of your trade show experience.